In the Buying Guide, we have looked at the different types of mitre saws available and also at the best methods to collect sawdust. There are however a number of common features which we have not looked at yet, so I want to cover these off in this particular section. 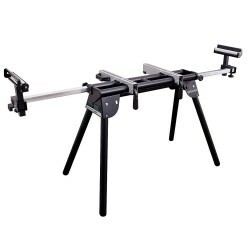 These saws are not a cheap purchase, and when you spend your hard earned money, you will not only want your saw to work properly, but you will want it to be durable and last for a long time. The best way to judge the quality of a machine is to imagine it without any of the gadgets. You are looking for a good solid construction, and a turntable that moves around with considerable ease. If you have both of these in place, then you will have a really high quality saw. In truth very little else matters other than these two important features. The vast majority of these saws are made from steel or aluminium. Many of the guards, handles, knobs and levers are made from a hardened or heavy duty plastic. Always check out these knobs and levers and see if they feel flimsy or weak in any way. You can tell just by the way they fit if they will loosen over time, or worse still break. Look for good solid levers is my advice and try to avoid screw type connections as over time, the threaded element of these will wear. Compare one saw to another and you will see what I mean. Dewalt saws for example are engineered to a very high standard and all of the parts on those are built to last a long time. When you compare those to ones on a cheaper machine, you will instantly see the difference. Manufacturers can save money by using cheaper plastic, and cheaper connections. They will work and if you don’t plan on using your saw on a regular basis, then they will work well. If however you plan on doing a lot of work, then the cheaper connections will just not stand the abuse. You can read more about saw construction by clicking here. Watch out for rocking. The entire purpose of this turntable is that it should glide with considerable ease on the base. If you find any type of up and down vertical movement, known as rocking, then run a country mile from that saw. You do of course need your table to move easily to the left or right to make your mitre cuts. If you find that is really difficult to do, then that is a sign that the manufacturer has used cheap bearings. This turning motion, along with pre-set angles that can be locked in, are essential to any good saw. It will make your cutting frustration free and accurate. Read more about turntables by clicking here. In the bible of woodworking, “the blade maketh the saw.” This is so very true and even the cheapest mitre saw with a high quality blade will just about cut through anything. 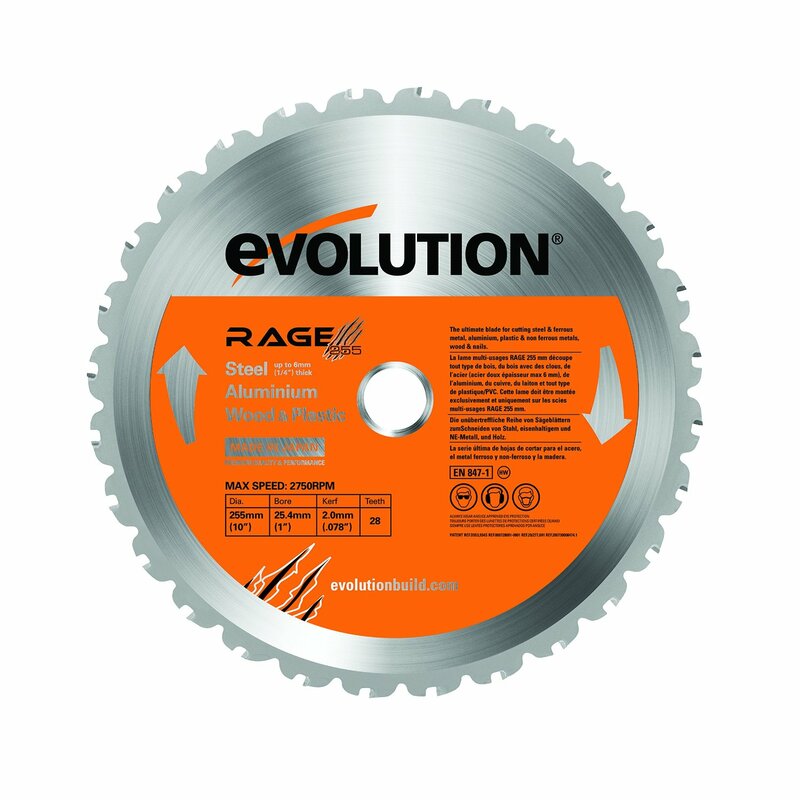 Most of the saws that you will buy will come with a general purpose blade. I would advise you never to judge the saw by the blade alone. The brands will add a blade to your saw so as you can use it right away. In almost all cases this is just a basic all purpose blade and will allow you to make some use of your purchase. You will almost inevitably want a higher specification of blade than the one you get with your saw. Don’t make this a decision for buying a particular brand though, as the general construction I outlined above is way more important. You can click here to read more about the different types of mitre blades available in the market. If you are going to be working on long pieces of lumber, then I would say it is almost mandatory to have a stand. The stand can hold the weight of your saw, and also offer support to the longer lengths of timber. Like the saw itself, always check the quality of the stand. There are a lot out there and I would recommend either the Evolution or the Dewalt models, as they are very good quality. It needs to be able to support the weight of your saw, and also the weight of the wood being cut. Strength, storage and ease of use are the key features and you can read all about those by clicking here. Do you need these or not is the really important question? The idea of a thin beam of light that will help guide your saw to the perfect cut line is a great idea. Let me put a little perspective on that though. The only way to evaluate the usefulness of a laser is accuracy. You can have all the beams in the world, but if it is out by even one degree, it will give you a bad cut. You simply cannot beat using a square and a pencil to get an accurate line. What I would advise is to do that, and then check it against the laser beam. Almost always a saw coming out of a factory will need to have the beam adjusted. Make sure that any saw you do get has the capability of being able to adjust and set the beam. They are useful when doing a lot of work as long as they remain accurate. Recently it would seem that many manufacturers have got carried away in using LED lighting. These days you see it on drills all the time. Some of the brands have now added that to mitre saws. Personally I like this idea as anything that lights up a work area really helps a lot. This is a nice feature to have, but not one that would make or break my buying decision. When you have made a cut, then it can take a period of time, when you release the on/off button for the blade to stop spinning. In the better quality saws you will find that they use what is termed an “electric braking” system. This just means that when the button is released, a reverse gear kicks in and slows the blade down, which in turn makes it stop faster. This is a great feature if you are someone who will use the saw on a regular basis as it saves time and is also a great safety feature. High quality brands will have no problem in giving you longer warranties or at least the option of an extended warranty. According to the Sale of Goods Act, products such as these have to come with a 1-year warranty. In almost all cases this only covers parts. Before buying any saw take a bit of time and check out the full details of the warranty that is on offer, and any options you may have to extend this. You can read more about warranties here. I would only consider this option if you are regularly going to be working in areas where there is no power source. These saws are really heavy on battery power so my advice is that if you go for this option, then buy at least one extra battery.